just joined the simply stacie blog frog community: Liz W.
I like the Medical Vital ID Wristband because I think this would really be helpful to both the person and the health care providers in case of emergency since significant medical information is already provided. Kid’s Safety Vital ID Wristband. My nephew is allergic to bees and this would be perfect. 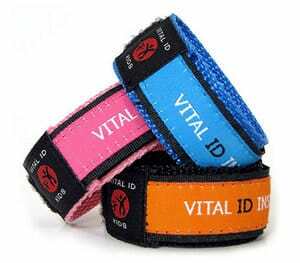 My favorite is the cool Kid’s Safety Vital ID Wristband because I can write whatever ID information that I want and slip it into the wristband.